HQ Beauty Care offers, Medical Micro Needling. Medical Micro Needling is an extremely effective in reducing and minimizing the signs of ageing and other skin conditions. The additional benefits are endless. 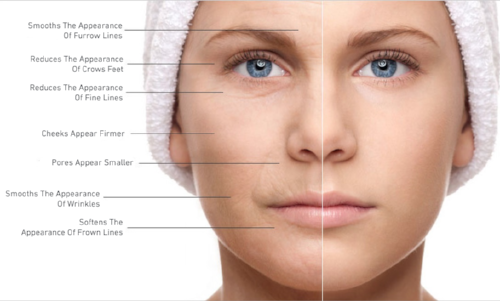 Microneedling helps to trigger the body’s natural ability to promote new collagen and elastin fibers, as well as new capillaries which fill the channels that are created during the process. The result is a plumping and thickening of the skin, evening out of imperfections and discoloration and improved blood supply. This procedure is safe for all skin types and do not harm sensitive areas as other procedures often do. Medical Micro Needling is a safe alternative to botox, laser treatments or peels. how is medical micro needling performed? After a brief consultation the skin is thoroughly cleansed and a numbing cream is applied to the area. This is to minimize any discomfort during the procedure. Next, a Peptide solution (Amino Acids) are applied with a small pen that contains a sterile, disposable tip containing Micro Needles. The pen is gently moved over the skin to create tiny, evenly-spaced punctures. After the treatment is completed, a complex repair cream or Vitamin-C is applied to protect it during the healing process along with sunblock to protect the skin from sun damage. Micro-needling is a great treatment for you because it doesn’t involve peels or lasers, which can cause pigmentation. If budgeting for your procedure is a struggle, HQ Beauty Care offers an easy payment plan. Click the button below to learn more.